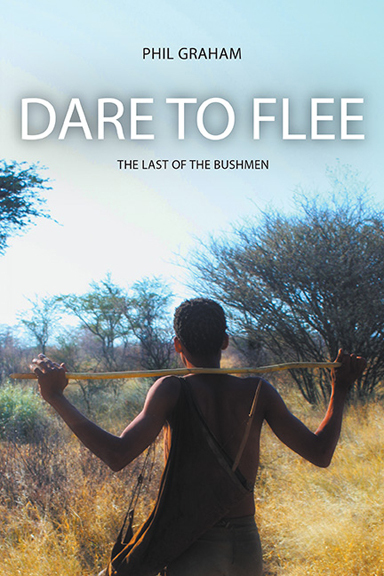 Dare to Flee: The Last of the Bushmen is the story of Xai, a San (Bushmen) tracker, who is drafted into the South African Defence Force to help rescue sixty school children who have been forcibly abducted by a group of armed terrorists. In the ensuing chase, Xai’s closest friend is killed by the ruthless leader of the insurgents. Xai is distraught and vows to track down the killer and extract revenge. The drama is played out in 1994 against a backdrop of the beautiful, though arid, Khalahari Desert, known colloquially as the “Thirst Lands.” Joining forces with a group of San hunters and their families, Xai discovers that he is now the hunted. Meanwhile, the Botswana Government has embarked on a scheme to remove Bushmen from the Botswana portion of the Khalahari. They are to be relocated to settlement camps, far from the traditional grounds they have occupied for 20,000 years. The reason? The government wants to mine the diamonds discovered there. Its a fictional story based on fact, and deals with the unjust resettlement of the SAN bushman from the Kalahari. The writing style is truly evocative of Africa and you can literally smell the bush with each and every page turn. Its an exciting storyline keeping you guessing along each subplot, I found myself back in Africa experiencing the majestic sunsets, the warmth of the people and the smell of parched earth at the beginning of a rainstorm. “Dare to Flee by Phil Graham is a good book. I have just read this and have to say I thoroughly enjoyed it. It tells the story of bushmen in the Kalahari desert and their struggle to continue living the life they have lived for over 20000 years. After diamonds are discovered in the desert the bushmen are forcibly moved to resettlement areas that are totally alien to everything they have known. Consequently they suffer great hardships all in the name of progress. This seemingly is happening even now or has actually happened already. Little snippets throughout the story tell a lot about these people and their way of life. This is all woven into the story of Xai a bushman who has reason to go after someone who causes great harm to his ‘family’. It tells of the people he meets along the way who help him reach his goal. “Dare To Flee transports you to the African shrub land making you believe you are there with the main characters. The book places you inside the head of combat forces fighting terrorists in a hostile environment. The author cleverly brings personal experiences, history and knowledge of the desert to bring the book to life. In the background to the plot deep long lasting personal relationships are explored in a dangerous brutal war zone. Well I have just finished reading your book…and what a good read it was…Great Job! The plot was good, fast moving and believable, plus your descriptions of the African scenery, and the sights and smells etc. were top notch. 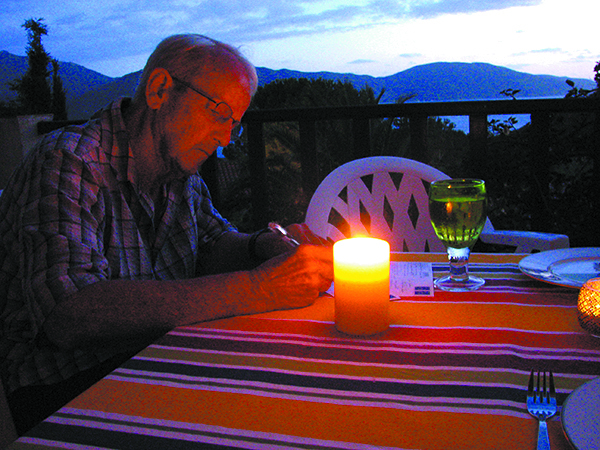 Phil Graham grew up in South Africa and joined the British South Africa Police in Rhodesia (now Zimbabwe). 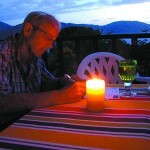 Now retired, he lives with his wife in the rolling hills in KwaZulu Natal, South Africa. He wrote the book using experiences gleaned during the Rhodesian bush war to tell “the plight of the current day Bushmen in Southern Africa.” He is writing the sequel.